XLRI Jamshedpur recruitment process saw a total of 362 domestic and international offers being made to the candidates completing the 2-year long postgraduate diploma in management - HRM and BM. 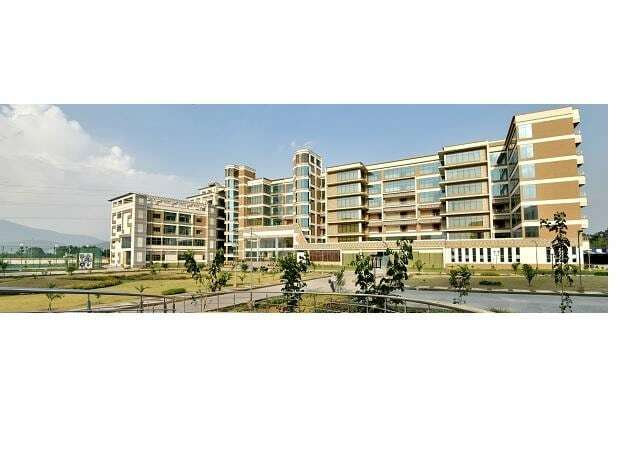 The average salary for 358 students at XLRI- Xavier School of Management, during this year’s final placement, rose by 11.19 per cent to touch 22.35 lakh per annum with 104 recruiters including Boston Consulting Group, Microsoft, Amazon, P&G, Aditya Birla Group, ITC, Avendus Capital, Hindustan Unilever and several others making job offers to the candidates. The recruitment process saw a total of 362 domestic and international offers being made to the candidates completing the 2-year long postgraduate diploma in management – HRM and BM. “Interest in XLRI’s students has been tremendous with top companies recruiting. We attribute the excellent placements this year as an affirmation by the industry of the high-standard of management-centric education that we strive to deliver to our students”, E Abraham, director, XLRI - Xavier School of Management, said. While the median salary offered to the batch stood at Rs. 21 lakh per annum, the highest offer, made by a company from the BFSI sector, stood at Rs. 50 lakh per annum. The top segments based on roles offered were Consulting, Sales & Marketing and BFSI. Consulting firms extended offers to 21 per cent of the candidates. Sales & Marketing and BFSI constituted 27 per cent and 22 per cent of the roles offered to Business Management students respectively. Other roles included niche functions in Analytics, Product Management, Business Development, Brand Management and Finance. A total of 19 first-time recruiters appeared in the recruitment process which included companies such as Allianz Global Investors, Bain & Co., Adani Group, Jubilant Foodworks, Rivigo, Experion, Belden, Xiaomi, Google, Udaan amongst others. In the consulting domain, firms like The Boston Consulting Group, McKinsey & Co., Bain & Co., Accenture Strategy, Deloitte, PWC and others led the race to offer jobs while in the FMCG domain, P&G, Hindustan Unilever, ITC, Colgate Palmolive, Asian Paints, Samsung, Philips and other firms offered various roles in sales and marketing, product supply, operations, IT and human resource management. On the BFSI front, candidates were offered roles in front-end investment banking, global and corporate banking, wealth management, global markets and retail banking with participation from Allianz Global Investors, Citibank, HSBC, J.P Morgan Chase, Avendus Capital, DBS, IDFC First Bank, ICICI and others. The firms offering jobs from the IT, e-commerce and analytics domain included Microsoft, Amazon, PayTM, Uber, Rivigo, Media.net, Google, Flipkart, Oyo Rooms, Tech Mahindra, EXL and others. The diverse set of roles offered were program manager, product manager, catalog manager, business development, analytics and recruiter. HR roles were offered by firms spanning the spectrum such as RP Group, Lodha Group, Sapient, Accenture, ITC, JP Morgan and Chase, Udaan, ATG Tires, Ramco Systems, Colgate Palmolive and others. HR roles offered also included recruitment, HR consulting and HR analytics. This year also saw participation from PSUs like ONGC, GAIL and RECL.